One way spring water bottles in 12L & 15L. With the option of both 12L and 15L bottles, there is no need for bottle deposits and return freight for regional customers. Do you run a supermarket, deli, trade supply company or service station, add an extra line to your product range? 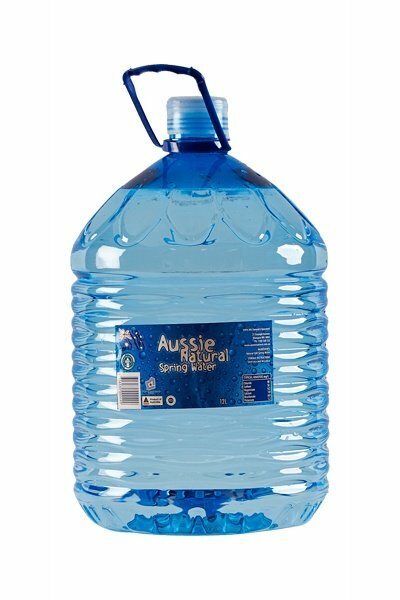 For pure spring water that is ideal for customers in remote locations or where returnable bottles are too much hassle, our 12L and 15L Single use water bottles are filled with the same great tasting water that our customers love which is why we’re Perth’s favourite 12L and 15L bottled water suppliers. They even come with a convenient carry handle, which can be removed to fit all Aussie Natural watercoolers, and most others. Talk to our friendly Perth team about getting these bottles delivered straight to your door -the home, the office, the workplace, or across Western Australia. Keep everyone happy, healthy, and hydrated, with 12L and 15L bottled water available in our convenient single use bottles for use with existing dispensers. Aussie Natural also have a full range of dispensers to suit as well. Fresh water sourced from the Darling Ranges natural springs, found amongst West Australia’s most pristine national parks, is carefully drawn and transported to our state-of-the-art bottling facilities in Perth. 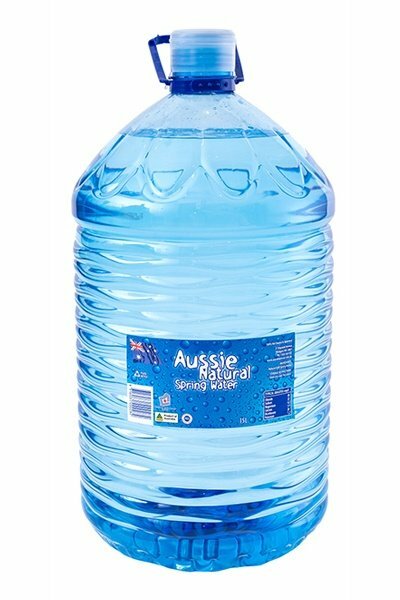 It’s this great tasting water that we provide to our customers, in convenient single use bottles. Our bottles are made from PET plastic, and are fully recyclable- minimising our impact on the environment. Call our team today to find how you could get our Aussie Natural Spring Water products that are delivered straight to your door! At Aussie Natural Spring Water, we’re proudly Perth’s premier spring water suppliers, providing quality spring water at competitive prices- whether it’s bottled water, water coolers, water filters, water accessories or anything in between, Aussie Natural Spring Water can provide clean, refreshing water to meet a range of needs and requirements, at best value that doesn’t cut down on quality.